Where does one begin, Kate? I loved anything and everything by Enid Blyton - and my MIL recently found a full 80's set of her books for the boy, Alice will linger with me the rest of my life, then there were all the Carolyn Keene books, Trixie Belden, The silver crown by robert C O'Brien, the hobbit - where do you draw the line? I spent most of my childhood reading!!!! Lara - I also loved Enid Blyton - didn't get into Trixie Belden books though. I adored the Famous Five and the Secret Seven. 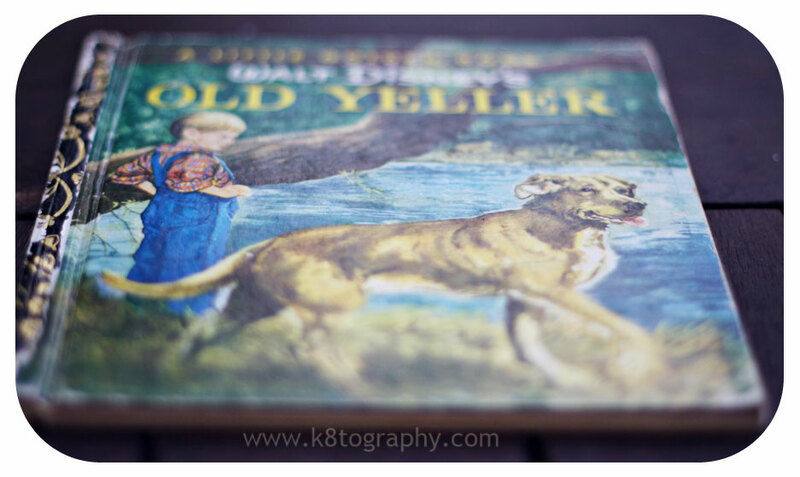 But Old Yeller - he, along with The Sailor Dog and Laddie the Superdog - well they were very special to me as a 6 and 7 year old.